Certainly a top class internet cafe. The range of services available is great, the pc's are all top notch and the connection is great, headsets are available for VOIP too, should you need them. Tea and coffee [and some amazing hot chocolate!] are available at the counter on the first floor, meaning you can browse the internet while having a cuppa. They have a massive copy room on the second floor, along with phones [I have never needed them, but its good to know they're there]. Printing, copying, laminating binding - its been a life saver for some college projects. the third floor holds an up-to-date Gaming centre, if thats your thing, with plenty of craic and fun to be had. the staff are great, very accomodating and friendly - something you don't see at a lot of internet cafes. 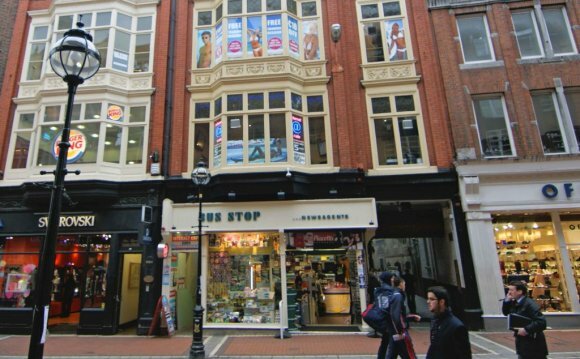 Its central location ON Grafton Street is handy too - it's close to several of the inner city colleges and restraunts, should you be on your lunch. EmailInternet or GTW [the games place upstairs] is one of the few places left in the city where you can get a good mix of relaxed browsing, important work, and fun gaming done all in the one building. Highly recommended.